Columbus Museum of Art is thrilled to announce the launch of the Center for Art and Social Engagement, with funding from the Institute of Museum and Library Services. We are living in times that can feel as divisive as ever. Our lives are full of opportunities to air snap-judgements and form echo chambers, yet we encounter few explicit invitations to slow down and consider the complexity of issues that underpin conflict, inequity, rage, and grief. Artists often tackle issues of their time in ways that dive into these complexities. 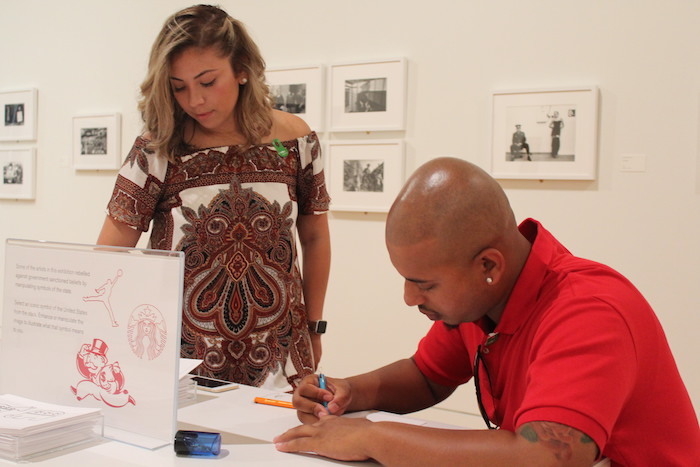 Increasingly museums are asking: What role do we play in events that shake our communities? and What are the moral implications of “business as usual”? At Columbus Museum of Art, we believe that art museums can become hubs for constructive dialogue on issues that matter to our lives. We believe this because we have seen it – in galleries, programs, partnerships, in moments simple and profound. Every day at CMA, we experience the power of art and artists to help us to see the world in new ways, to ask “why” and imagine “what if,” to consider points of view different from our own, and to grapple with life’s complexity. Guided by the power of art and artists to catalyze new ways of thinking, we are honored and thrilled to announce that we have received funding to launch the Center for Art and Social Engagement. Last week, the Institute of Museum and Library Services awarded Columbus Museum of Art a Museums for America grant to embark on this experimental, collaborative, and bold new phase in our ongoing work to transform the role museums can play in social engagement. Museums for America supports projects that strengthen the ability of an individual museum to serve its public by providing high-quality, inclusive learning experiences by serving as community anchors and essential partners in addressing community needs, and by preserving and providing access to the collections entrusted to its care. The Center for Art and Social Engagement is an evolution of CMA’s experimentation, collaboration, and reimagination of what a museum can be. In 2011, with support from the Institute of Museum and Library Services, CMA launched the Center for Creativity – committed gallery space and a new approach to participation with visitors, artists, and partners in order to cultivate and champion creativity. Over the subsequent years, we have grown these approaches throughout the museum, and seen extraordinary impacts on visitors and ourselves. 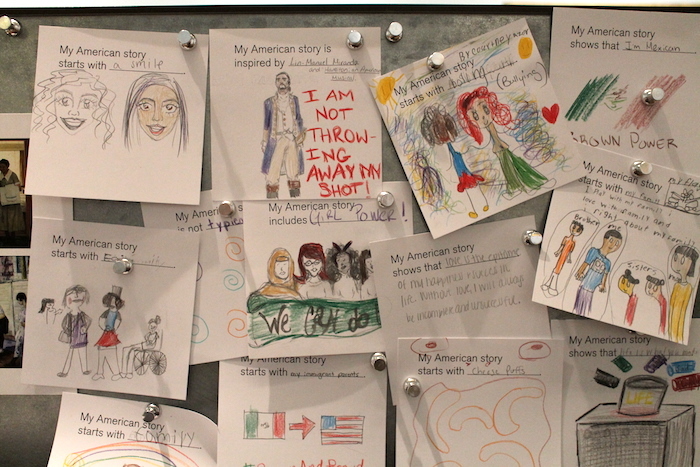 In one of CMA’s Join the Conversation stations in the Red Horizon exhibition, CMA asked visitors to enhance or manipulate iconic U.S. symbols, and think about how meaning is created through these symbols. Now, the Center for Art and Social Engagement, or CASE, will explicitly apply these approaches to the CMA’s significant collection of work that addresses social issues. CMA stewards many works that embody ways that artists have explored complex social issues across time, prompting viewers to consider the complex, personal, and social aspects of injustice. CASE will design museum experiences that support visitors to explore issues of relevance to contemporary life through art, to examine assumptions and perceived norms, and consider diverse points of view. We will do so in ways that build on lessons from our past decade of intentional transformation, and through collaboration with thought-partners, including a newly-launching CASE artist Fellowship and Community Advisory Committee. As an experimental and community-based art museum, we at CMA see an exciting – if humbling – opportunity to reimagine how art museums can lead for the kinds of engagement that matter now and for the future. We are grateful to all the partners – artists, teachers, community leaders, funders, and general “nudgers” – who have supported us in this evolution, and to the IMLS for supporting us in the next phase of this journey.